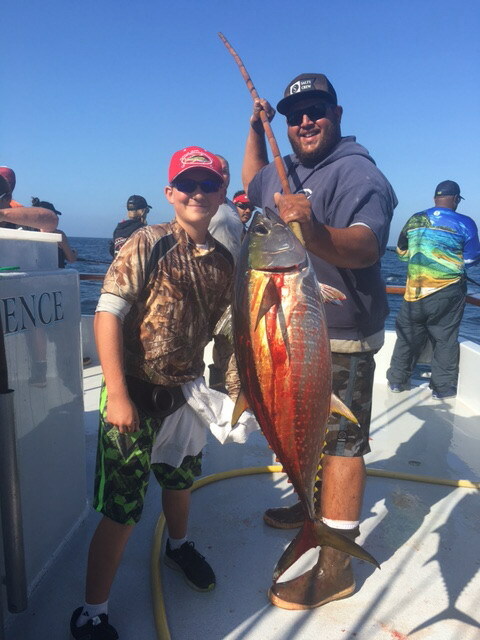 Boat will arrive at Point Loma Sportfishing at 5:30am, Next departing trip on 7/3 will be 2pm or earlier, everyone be there by 12 noon or earlier..
Gavin is proud of his catch. Thanks again to a great fun group. See you again next year. 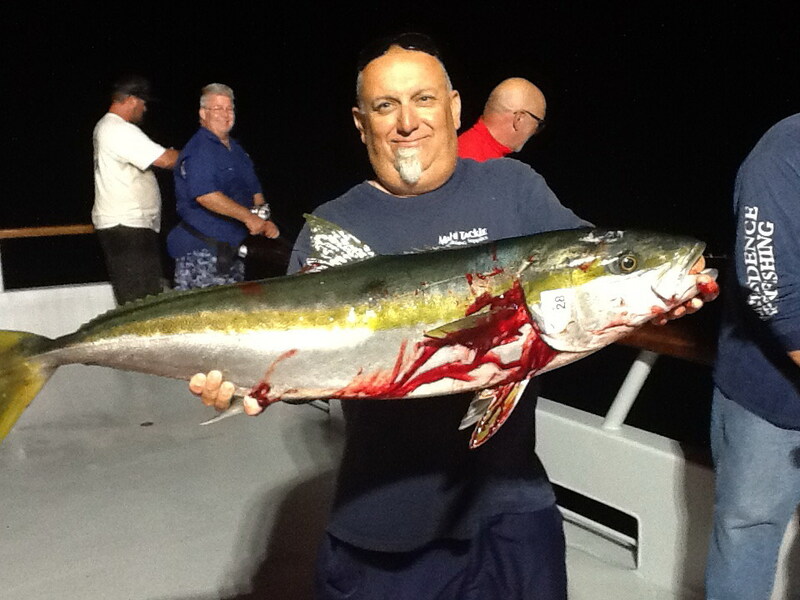 The boat called in reporting good fishing on Yellowfin Tuna 12-20 Lbs. Beautiful weather and all aboard are doing fine. 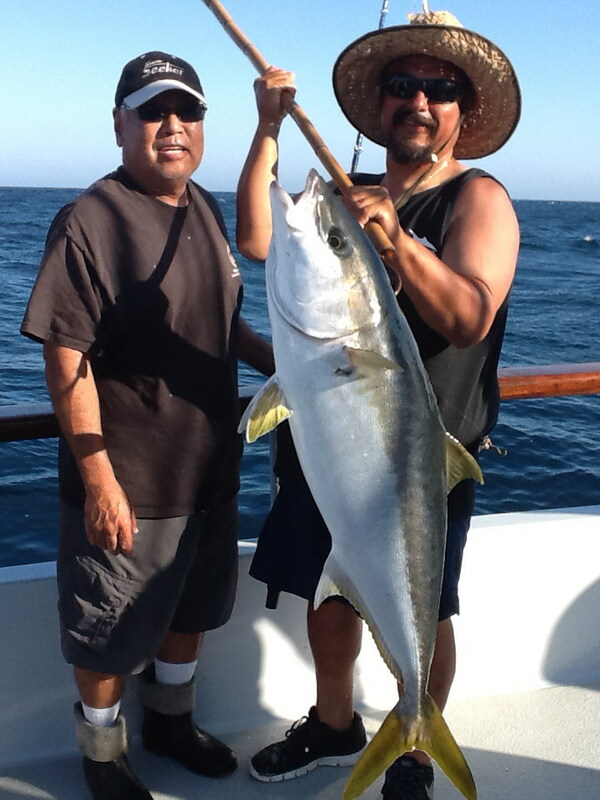 They will be fishing for Yellowtail tomorrow. Great report from the boat as the Internet is not working properly. 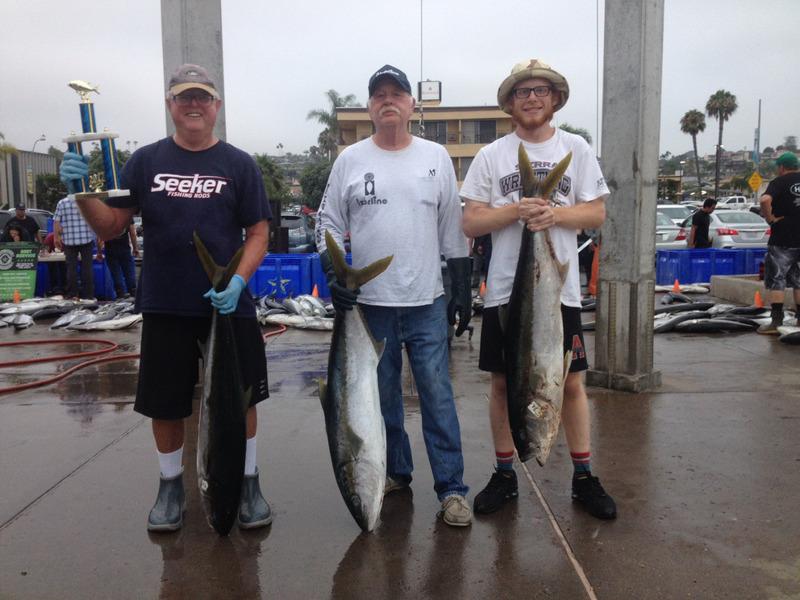 Half Moon Bay anglers scored big time getting daily limits around on good grade Yellowtail 18-30 Lbs with a few standouts. Everything worked ; fly-line, dropper loop,yo yo, and the surface iron boys had a great time. 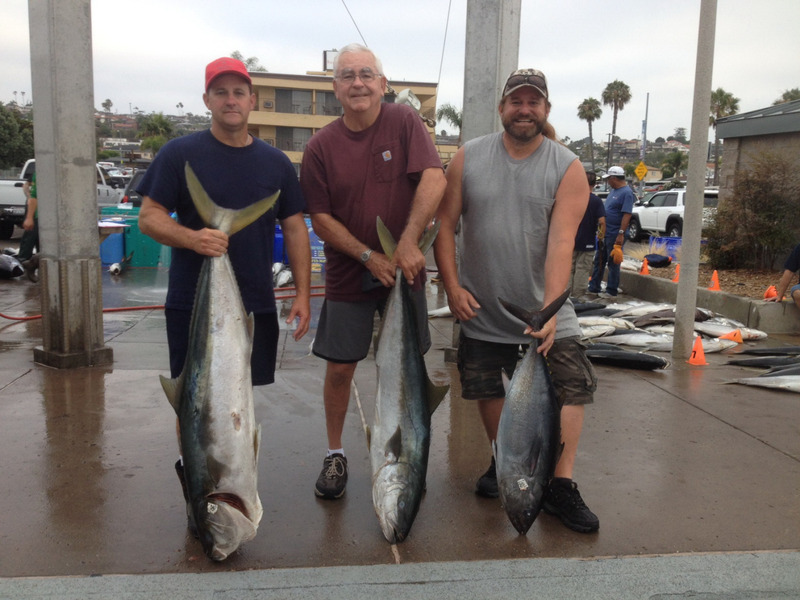 They are going to head up the line to concentrate on Yellowfin Tuna tomorrow. Everyone on board is doing great. 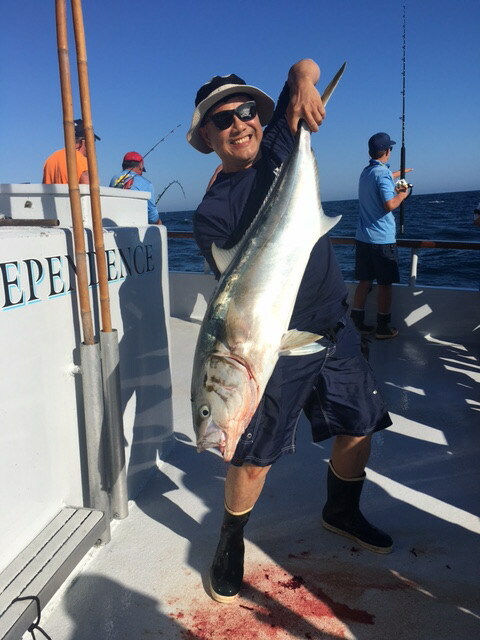 The boat called in this afternoon with a great report. 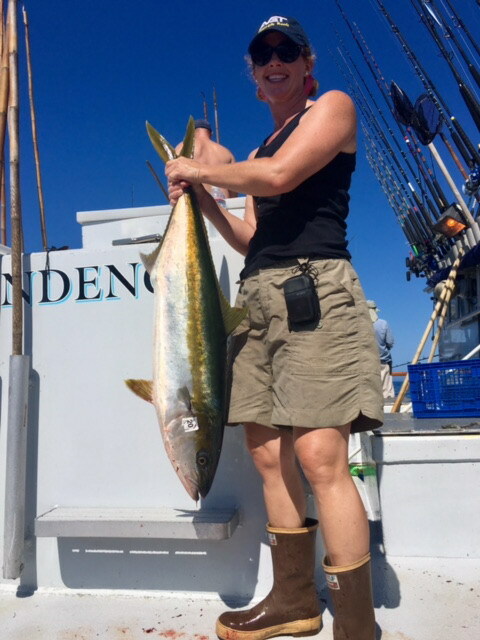 Steady action on Yellowfin Tuna 12-18 Lbs. 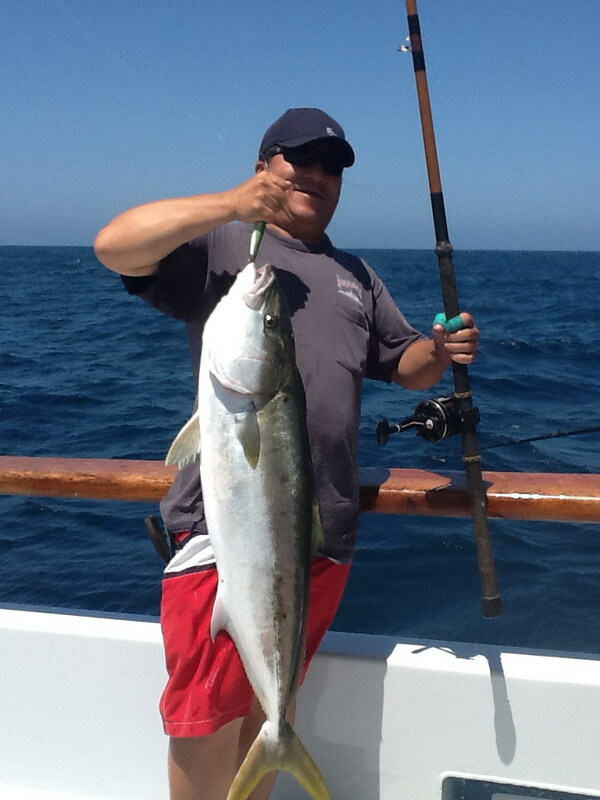 They also reported good fishing on that nice grade Yellowtail. 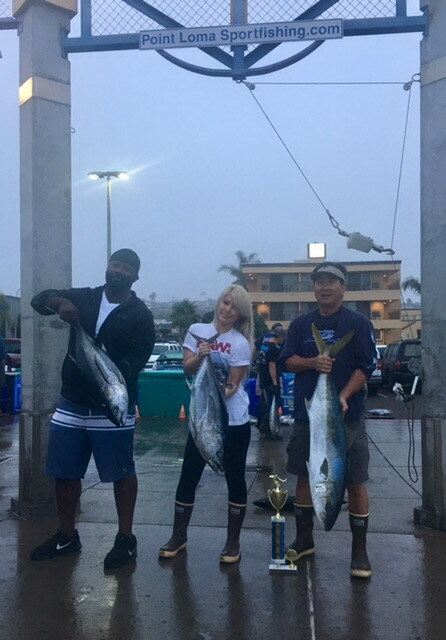 Weather was up a little today however it didn't damper the anglers spirits. Will be working up the line tomorrow offshore looking for kelps. Weather outlook better tomorrow. The boat just called in and reported they are traveling up in nice weather. They will arrive back home at 05:30 Monday morning. For those of you going on the next trip, Judy will start sign in approx. 7:00am. Be sure to bring your passports with you when coming up to sign in. Hey guys! We left yesterday and pick up a good looking load of sardines. We are out on another Westcoast Marketing sponsored 7 day trip. 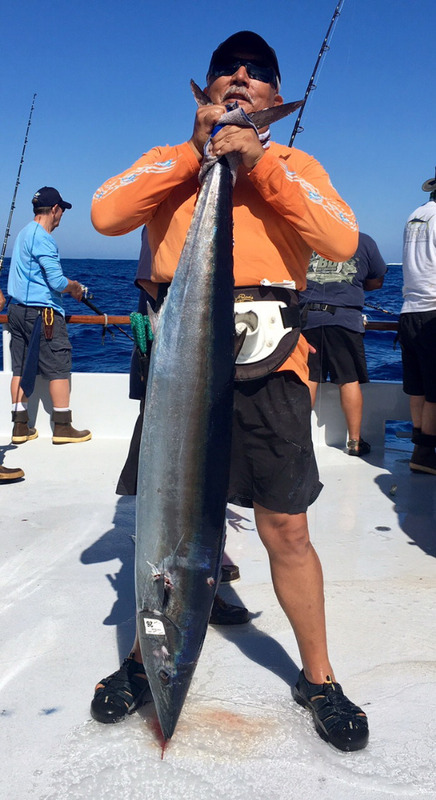 Rick Ozaki is the chartermaster and brought all sorts of great giveaways from Avet Reels, Raider Jigs, and Graftech Rods. We are traveling down south rigging up for the days to come. Beautiful weather and a great group for us here today. Hope to keep you posted with lots of good news. Wish us luck. Matt and Independence crew. 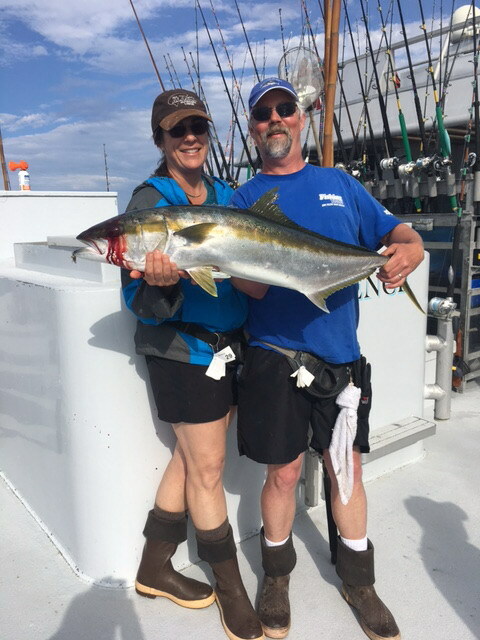 Great start for us today on Yellowtail. 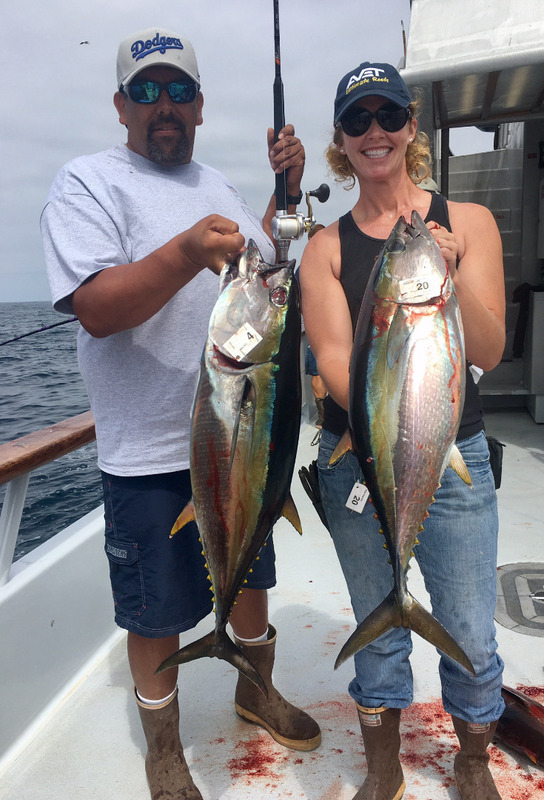 We had good fishing when we arrived at our destination. 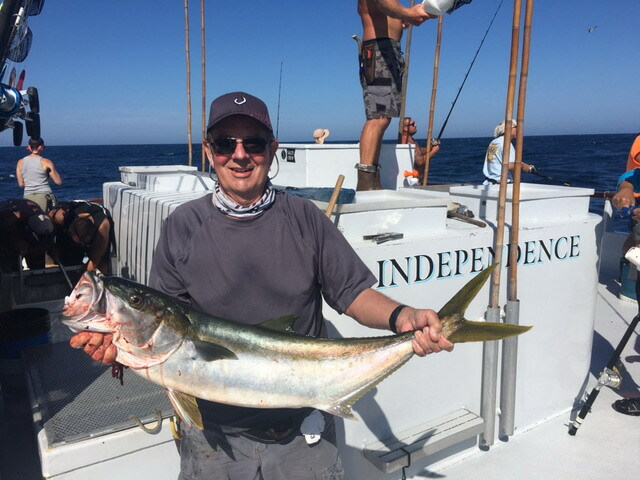 Fly line bait yo yo jigs and the infamous surface iron was the hot ticket for these beautiful grade fish. We managed to scratch though the day and the deck was busy. We are gonna hang out and try it again in the morning. Lots of fun in the good weather. Matt and Independence crew. 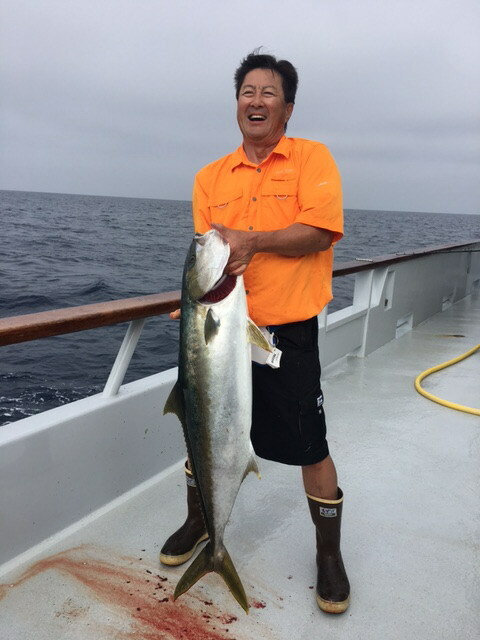 Today was another excellent day of Yellowtail fishing. The weather was hot and so was fishing. 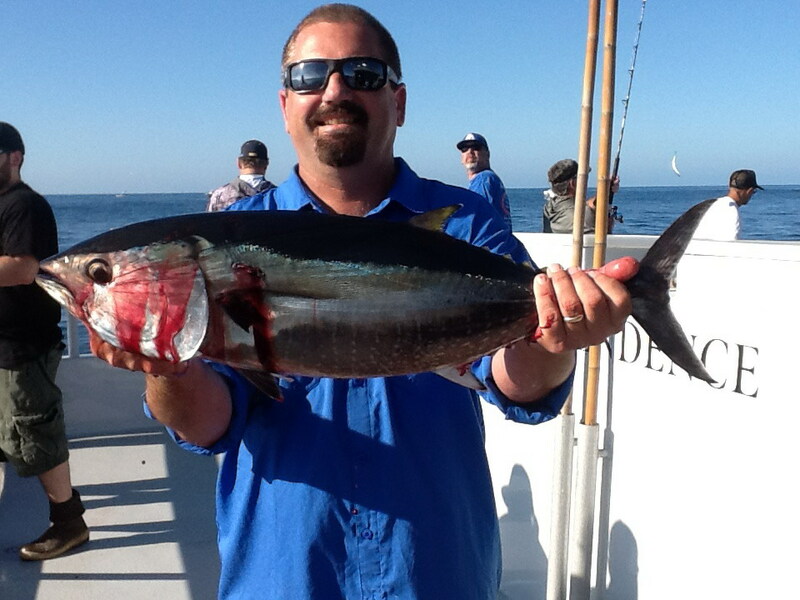 More beautiful grade fish for everyone aboard. We are moving on in search of more exotics. Wish us luck. 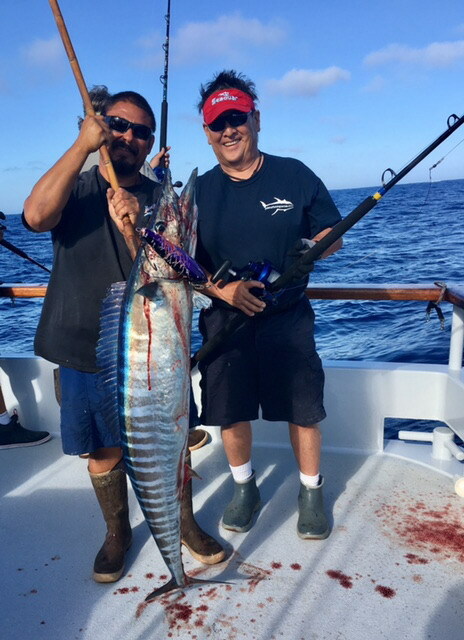 Another awesome day today fishing. 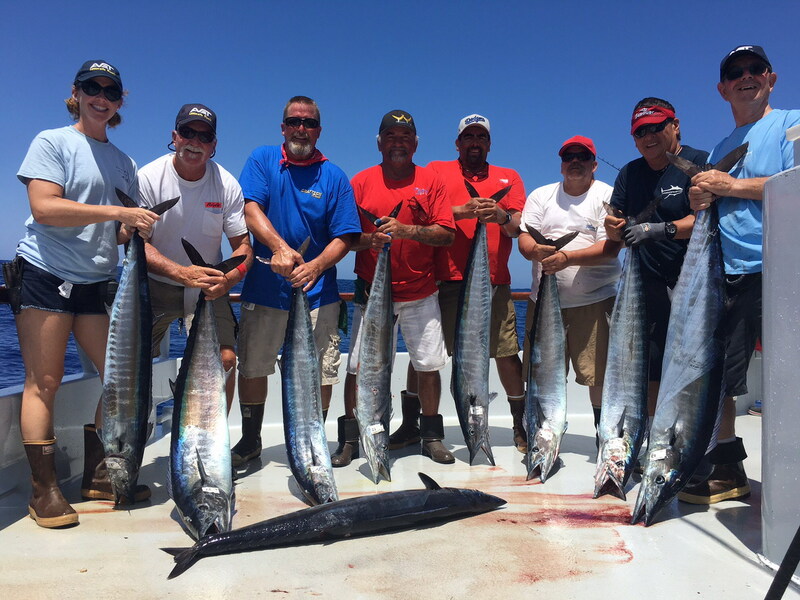 Great weather and lots of fun mangling big Wahoo. Everyone got at least one bite. We are headed up the line looking offshore tomorrow. Hopefully we bump into something noteworthy. Wish us luck. Matt and Indy crew. 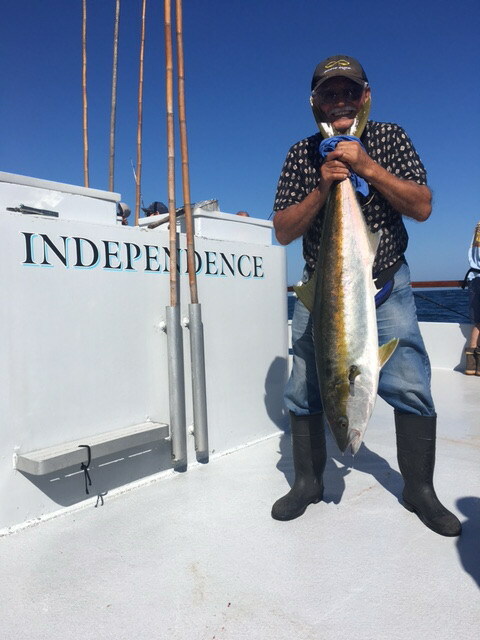 The Independence will arrive back at Point Loma Landing Dock at approximately 5:30am Sunday Morning , Anglers departing on tomorrows trip, Don't forget your passports. 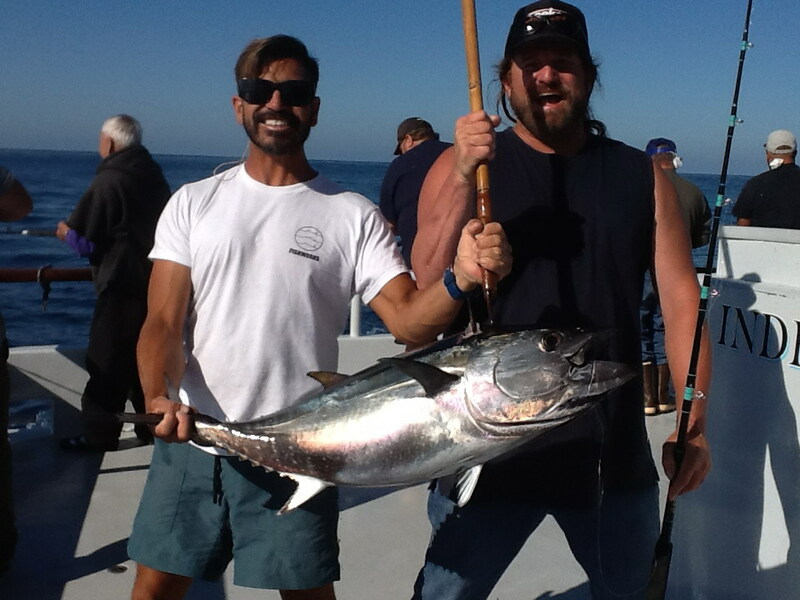 Copies will not be accepted for Mexican Fishing waters.